Opportunity to BUILD YOUR OWN HOME to your families specifications on a huge 6.72 ACRE VIEW lot. Imagine having your own kitchen, family entertainment room or garages designed just the way your family has dreamed about! PRESTIGIOUS PRIVATE GATED COMMUNITY , THE RANCH at SKY MESA . In GROWING Southwestern Riverside County. Enter the security gates & drive the private road to the long driveway leading to VIEW SITE with a CERTIFIED/ENGINEERED PAD. District water. Propane & septic tank area. Underground utilities. Newly repaved streets. Four horses allowed. FIVE+ ACRE lot community. Minimum 2800 sq. ft.+ homes & 3+ car garages. No mobile homes ensures future value. 2500'+ elevation. High-tech cameras at both N. & S. gates. Buzz in your guests. 500 acre community with 77 lots. Four custom homes have just closed within the gates of Sky Mesa this year. All Closed over 1/2 MILLION DOLLARS! Close to the surrounding lakes, shopping, high rated schools, restaurants and services. Newport Road on the E. & W. sides of the I-215 features incredible new shopping centers! The Villages of LakeView planned on the N. and S. sides of the Ramona Expressway are just minutes away. Easy access to I-215, Hwy 74 & realigned Hwy 79 which leads to Highway 60 & I-10. This amazing VIEW parcel has the CERTIFIED/ENGINEERED PAD, which reduces your COST, RESEARCH, TIME, & UNKNOWN RISK FACTORS. 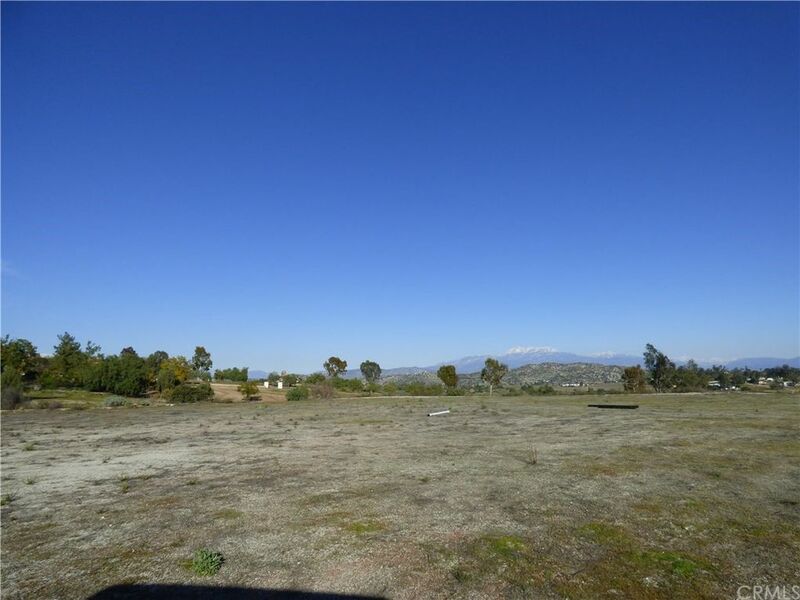 Build your custom primary or second home in this centrally located gated community. OWNER MAY BUILD TO SUIT. Call! Directions: From I215 take Hwy 74 east, left on Juniper Flats Rd, left on Sky Mesa Road to the gates. Lot is 2nd lot on left after the gate.